A Ton of My Favorite Things! My friend shaved her head last year. Before her gorgeous, dark locks were sheared, I asked her why she was willing to part with her lovely tresses. She simply replied, 'For Donna'. Then she did the kindest, cruelest thing, she shared Donna's story with me. Just as I will now share it with you. You will no doubt notice how her sweet smile draws you in. You will be enraptured with the sparkle in her eyes and the mischievous glint in her smile. You cannot help it. Today is the day Donna helps raise awareness for pediatric cancer. 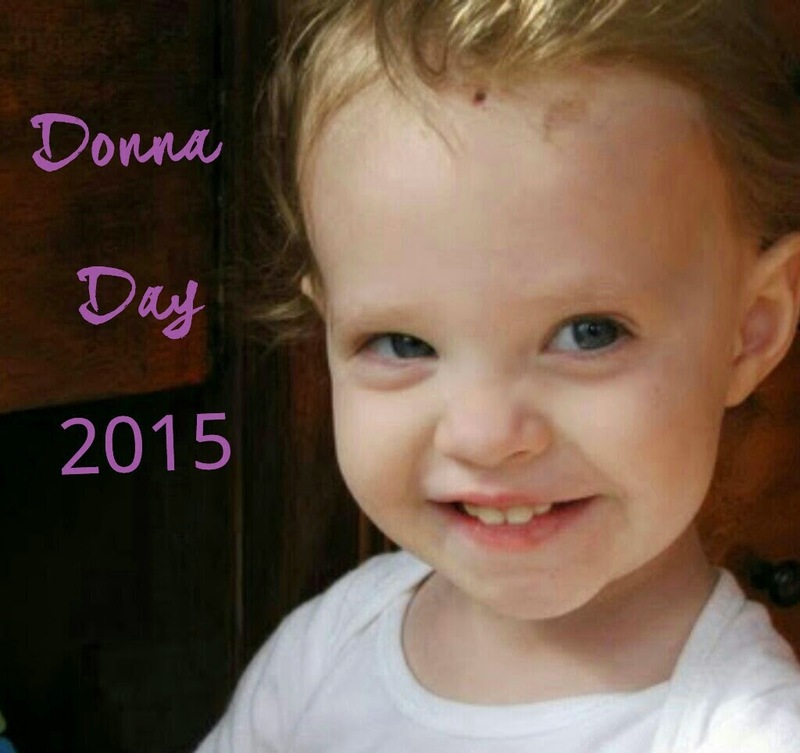 At only 20 months old, in 2007 Donna was diagnosed with brain cancer. After surgeries, chemo, hope curbed with fear, hospital visits, and so much more than any child should ever have to go through-at age four-Donna lost her battle with cancer. At four years old she said goodbye to the world.